One of Fulham’s best known landmarks stands at the junction of New Kings Road and Burlington Road. The Historic England website describes it as: Bottle Kiln, freestanding. Probably 19th Century. Brick. Remaining fragment of Fulham Pottery. 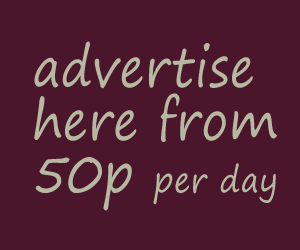 Grade II-Listed. Behind those bare facts lies the fascinating story of John Dwight and SW6’s most enduring and unusual industry. 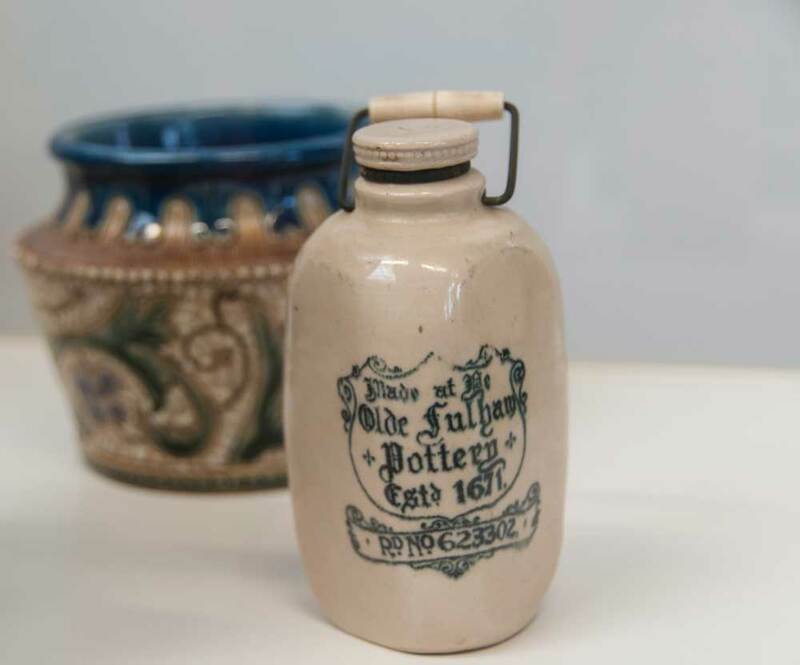 In 1672, having been granted the first patent to manufacture salt-glazed stoneware, John Dwight founded the Fulham Pottery. He had mastered the process of firing clay pots and bottles with a glaze that becomes nearly white, rather like stone. The vessels produced had a smooth finish – unlike the rough surface resulting from normal firing – that enabled them to hold food and drink and be decorated as ornamental plates and vases. Dwight was born between 1633 and 1636 and, in the 1650s, he worked in the laboratory of the eminent scientist, Sir Robert Boyle. 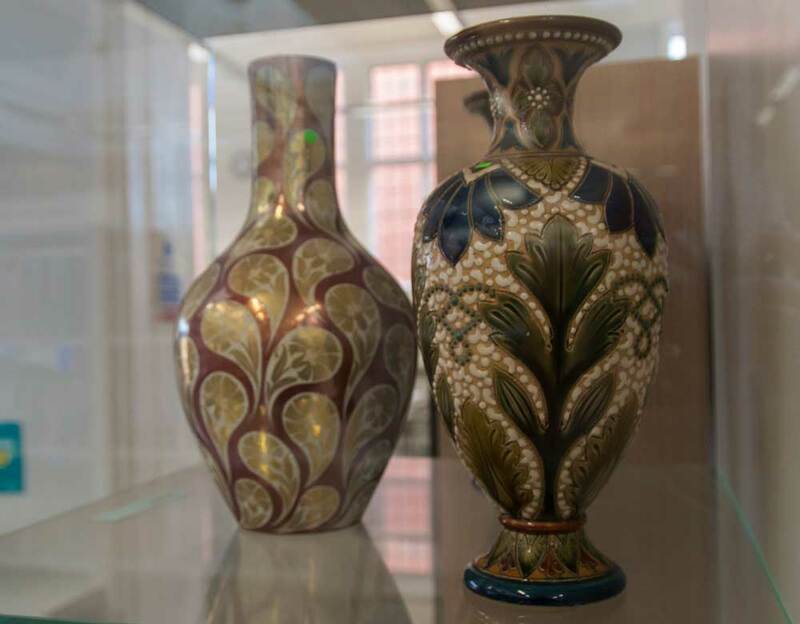 After taking a Civil Law degree at Oxford, Dwight was appointed Registrar to the Bishop of Chester and, at this time, he began experimenting with clays and minerals as base materials to make porcelain and stoneware. Clearly he was successful because, in 1671, he obtained a patent for his discoveries and moved to Fulham’s riverside to establish his pottery. Fulham stoneware was hard and compact, usually grey in colour and decorated with brilliant blue enamel in bands, leaves and flowers. The artistic merit of Dwight’s pottery and the sheer variety of his work set him apart from his British and Continental peers. Inevitably, envious eyes were cast in his direction. Between 1693-1696 Dwight was embroiled in 19 lawsuits over infringements of the patent. Despite his efforts to guard the secret of salt-glazed stoneware, knowledge of the process spread, eventually becoming the basis of the wealth of the famous Staffordshire potteries. Dwight died in 1703 and the pottery remained in his family until 1862, whereupon it passed through several owners. During WW1, with nine large bottle kilns in regular use, the business made stone hot water bottles and rum jars for the troops. 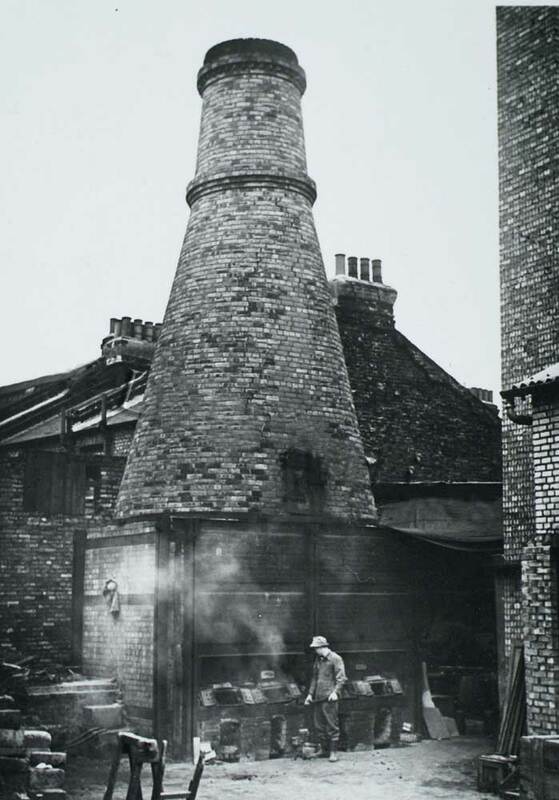 In 1975 the Pottery was demolished and, as part of the re-development, one of the distinctive kilns was preserved.